The Foundation promotes excellence in independent, public-spirited and socially impactful journalism. In encouraging digital-media ventures to focus on public-interest issues. In promising journalists to produce socially-impactful content. The distribution of digital public-interest content through all outreach platforms, including social and mainstream media. India’s editorial leadership on public-interest issues by supporting the work of journalists in the digital media through grants and fellowships. India’s emerging digital-media consumers to participate in the democratic process by ensuring transparency and information on issues of governance, public policy and socio-economic change. Independent And Public-Spirited Media Foundation (IPSMF) is registered as a public charitable trust in Bengaluru on 1 July 2015. The Foundation provides financial support and seeks to mentor digital-media entities in creating and disseminating public-interest information borne out of serious and independent journalism. The Foundation has been registered under Section 12AA (a) of the IT Act, 1961 and has been granted approval under section 80G (5) (vi) of the IT Act, 1961. The efficacy of a democracy is directly linked to the vibrancy and the freedom of its media. The media is, first and foremost, a watchdog – keeping an eagle eye on the legislature, the executive and the judiciary to examine and record if the pillars of state are acting in consonance with the Constitution, the expressed will of the people and laws established. The trustees comprise eminent men and women of stature and integrity in their respective domains – media, law, public policy, business and finance, etc. They are uncompromising and with a clear understanding of what constitutes impactful and independent journalism; and the entrepreneurial spirit needed to drive a successful media business. IPSMF has received donations and significant commitments of donations from over a dozen individuals and charitable organisations. The Foundation has been founded, structured and funded on the basis that the donors will have no say in the selection of grantees, which will be the exclusive preserve of the Board of Trustees. The Trustees will run IPSMF as an independent entity with the help of an operating team led by a CEO. Our grantees are in the forefront of the transformation that an independent and public-spirited media can forge. We bring you a selection of the best of our interventions. The operating team, led by CEO Sunil Rajshekhar, is responsible for a rigorous pre-grant due-diligence of potential grantees. The grantees are evaluated on the quality of journalism, business and financial viability, and the potential for growth. The evaluation is then presented to the Foundation’s Board of Trustees for their decision. Subsequent to the Board’s approval, the operating team is responsible for the grant-making process, monitoring of the content and spending of the grantees. Alt News is committed to fact-checking in a fair, transparent and non-partisan manner. Alt News continuously monitors social media and mainstream media for incorrect and/or dubious information. Given the volume of fake claims that are circulating on any given day, Alt News makes a selection of which ones to debunk – based on source of claim, virality and nature of the claim. Once a suspicious claim has been selected for a fact check, Alt News engages in systematic research to verify it. Azhimukham, a Malayalam news portal, meets you at the intersection of news and views and everything you should care for. Feel them as they are: Without fear, favour or slant. CGnet Swara is an Indian voice-based online portal that allows people in the forests of Central Tribal India to report local news by making a phone call. A portal freely accessible via mobile phone, CGNet allows anyone to report stories in these regions and listen to them by giving a miss call. Reported stories are moderated by journalists and become available for playback online as well as over the phone. DoolNews is a Malayalam digital news and story outlet that covers politics and societal issues in detail. It is independent, upright and free of any political or other leanings. DoolNews is headquartered in Kozhikode, Kerala. Down to Earth is an Indian science and environment fortnightly magazine and website, established by the Society for Environmental Communications in May 1992. The magazine informs people about environmental threats facing India and the world. The website’s sphere of influence is not limited to India, readers across the world rely on Down to Earth for a view from South Asia on the critical issues of human existence. It’s headquartered in Naya Raipur. Headquartered in Guwahati, the East Mojo is run by a team of journalists posted in the Assamese capital lead by Karma Paljor as well as reporters based out of each of the Northeastern states. East Mojo aims to educate and spread awareness among the people of the Northeast who are very vulnerable and blindly believe fake news and email scams promising gifts and money. ‘Mojo’ will be the network of citizen-reporters from across the region who will be trained in mobile journalism or ‘MoJo’, an emerging form of new media storytelling. This set of reporters will be the medium of change. At East Mojo, the team knows and believes that this remote but functionally significant region of the country has a lot to offer, and we’re not just talking about its green valleys and undulating hills. As a mouthpiece of this region, East Mojo intends to give the ‘nation’ what it hasn’t been represented with till today — ‘the eastern opinion’. Gaon Connection is India’s biggest rural media platform, a two-way street that takes information to knowledge-starved rural communities and brings information about everything from problems to role models from media-dark areas to urban India. Gaon Connection has several key verticals which includes digital, video content, print and audio content. It is headquartered in Lucknow, Uttar Pradesh. The Foundation provided financial assistance to Gaon Connection between September 2016 to August 2017. IndiaSpend is the country’s first data journalism initiative. They utilise open data to analyse a range of issues with the broader objective of fostering better governance, transparency and accountability in the Indian government. IndiaSpend is rapidly growing to become an `agency of record’ when it comes to data and facts on the Indian economy, particularly in areas like education and healthcare as well as data on the states of India. Ippodhu is an independent digital media group in Tamil Nadu and offers breaking news and opinion on politics, society and culture; Ippodhu deep dives into Tamil society and culture and humanizes journalism; it makes the governments work for the common people. The Foundation provided financial assistance to Ippodhu between January 2017 to June 2017. Khabar Lahariya is India’s only a women-led digital, Hindi news portal that covers rural stories. Started in 2002 as an eight-page newspaper in Bundeli dialect, Khabar Lahariya has transitioned into a digital portal in 2008 and reports stories from close to 13 districts of Bundelkhand region. Live Law is a comprehensive legal news portal and is set to redefine the standards of legal journalism in India. The portal endeavours to bring in more transparency in legal reporting without lowering the supremacy of law. Live Law is accountable to ‘Rule of Law’ and committed to provide our readers with accurate, bold, unbiased news, views, opinions, and features. 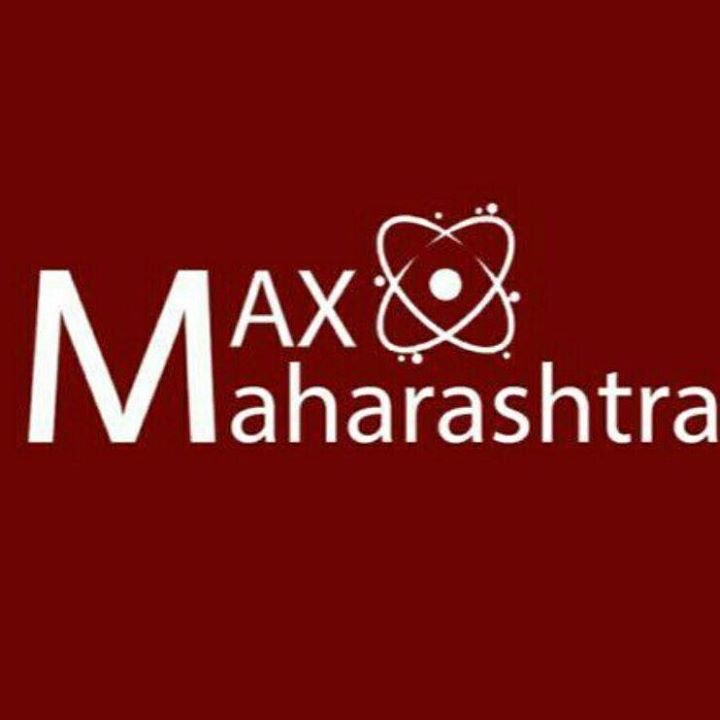 Max Maharashtra founded by journalist Ravindra Ambekar and is based out of Mumbai. Max Maharashtra is a Marathi news and views portal focussed on issues on Maharashtra with a special focus on video journalism and RTI stories. Pragati is an online magazine that provides commentary about current affairs and public policy. It believes that national interest is best served by safeguarding individual liberties. Some of the themes they care about are economic freedom, realism in international relations, an open society, a culture of tolerance and an emphasis on good governance. Samachara.com is an independent digital media making all-out effort to bring unconventionality into journalism in the state of Karnataka. Samachara digs deep into the subject independently to shove uncluttered, unbiased, uninfluenced stories. The foundation had supported Samachara between January 2018 to December 2018. The Caravan is India’s first long-form narrative journalism magazine and web portal. It was relaunched in 2010 as a journal of politics and culture dedicated to meticulous reporting and the art of narrative. Since then, The Caravan has established itself as one of the country’s most respected and intellectually agile magazines, and set new benchmarks for Indian journalism. The Ken is a new, digital, subscription-driven publication headquartered out of Bangalore, India. Founded by a team of experienced journalists and entrepreneurs, The Ken’s goal is to deliver fresh and original business insight through well-narrated stories to professionals, entrepreneurs, investors and leaders every morning. The stories combine analytical thinking, deep reporting and persuasive storytelling to provide discerning subscribers and nimble readers a peek into how innovation and disruption will impact the future of business. The News Minute is a digital news platform reporting and writing on issues in India, with a specific focus on the 5 southern states. 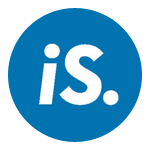 It was founded in 2014. TNM’s content includes news, ground reportage, news analysis, opinion and blogs. TNM reports and writes on a wide range of issues and events. Its core strengths include our deep access in the southern states, incisive editorial acumen and insightful news analysis and opinions. Headquartered in Bengaluru, TNM has ground reporters in all the southern states. ThePrint.in is a news, analysis, opinion and knowledge venture, launched in August 2017 by editor Shekhar Gupta. It is sharply focused on politics and policy, government and governance. Its leadership team includes India’s most experienced and respected journalists with proven track records in the finest news organisations. WTD News is a digital platform that’s on a mission to make news easy to understand and fun to follow. They are bridging the world of memes, pop-culture and everything viral, with that of current affairs, information and everything “boring”. The Foundation provided financial assistance to WTD News between December 2017 to August 2018. Satyagrah, a Hindi news website, is also part of Scroll.in. Satyagrah was founded by Sanjay Dubey, who was the founder editor of Tehelka’s Hindi magazine. Satyagrah endeavors to reach the heart of Hindi-speaking India with its reportage which consists of deep ground reporting, multimedia formats like audio bulletins and videos and special focus on matters around health, development, foreign affairs, gender law and history. Satyagrah has been honoured with the Ramnath Goenka Excellence in Journalism Awards in 2017. Saptahik Sadhana is a Socialist Marathi weekly publication established by Pandurang Sadashiv Sane (Sane Guruji), a leader of Rashtra Seva Dal on August 15, 1948. The magazine has served as a voice for Socialist thought in India and played a key role in the mass awakening during the 21-month-long Emergency Rule in India that was imposed in June 1975. The magazine has been led by promiscuous editors in the past such as P.H. Patwardhan, N.G. Gore and Narendra Dabholkar and is currently led by Vinod Shirsath since August 2013.